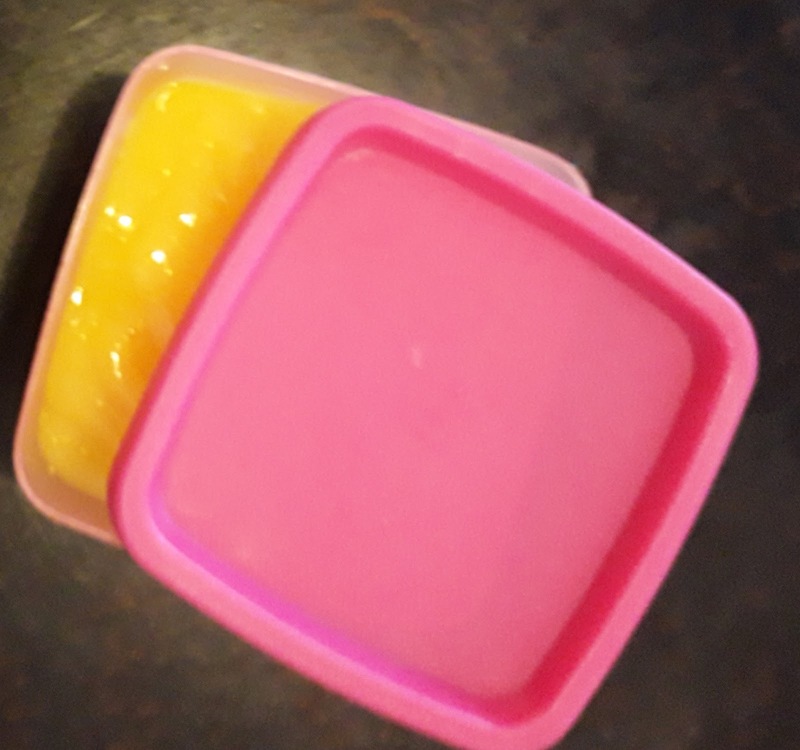 It is the mango season and why would our little ones be denied the joy mango seasons bring? Mangos are loaded with vitamins A and C, contain carotenoids, folate, iron, potassium and several other minerals. 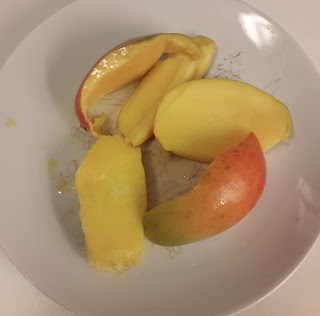 Except a child is allergic or intolerant to mango, I doubt if there is any reason to deny a child who has started complementary feeding the sheer joy mango brings. 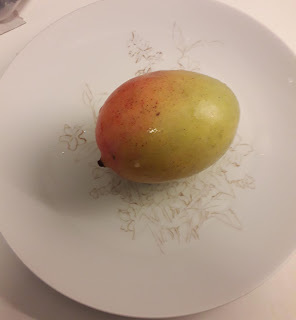 Who doesn't remember licking mangos as a child and having the liquid drip up to one's elbows, and having mango fibers stuck between one's teeth? Like almost all seasonal fruits in Nigeria, there is a period of excess when mangoes are very cheap in the market and often thrown away, then followed by a long period when the only reminder one gets of mangos are mango trees. Like all fruits too, there are myths surrounding taking a lot of mangoes like 'mangoes cause intestinal worms' or 'mangoes cause dysentery' both of which are unfounded. Mango in itself neither causes worms nor dysentery, but licking unwashed mangoes can cause diseases because of the microorganisms the fruit may have been exposed to during handling. 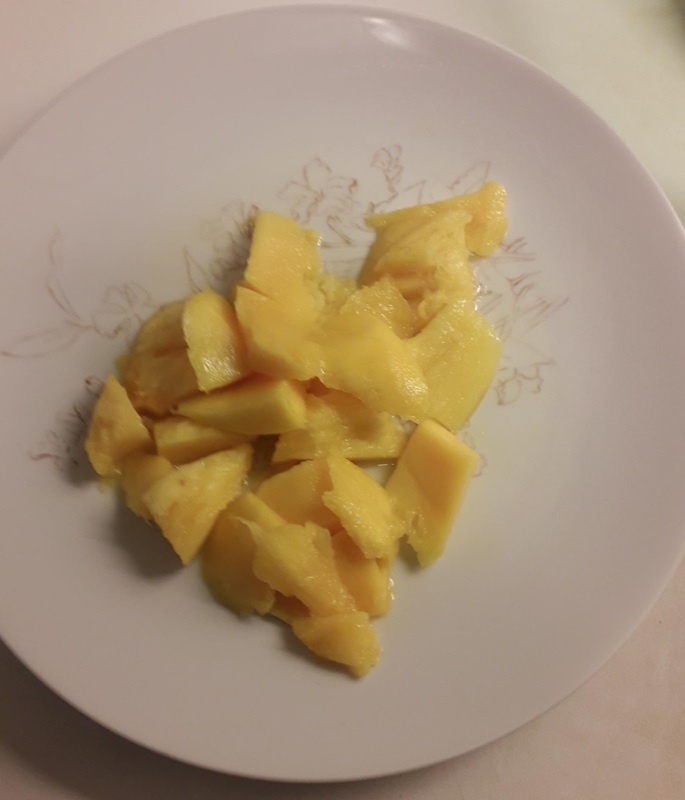 Hence it is better to only choose mangoes without breaks in their skin and to wash them in salted water before licking. Needless to say, when preparing any food for babies, every utensil to be used as well as the hands of the food handler should be properly washed. 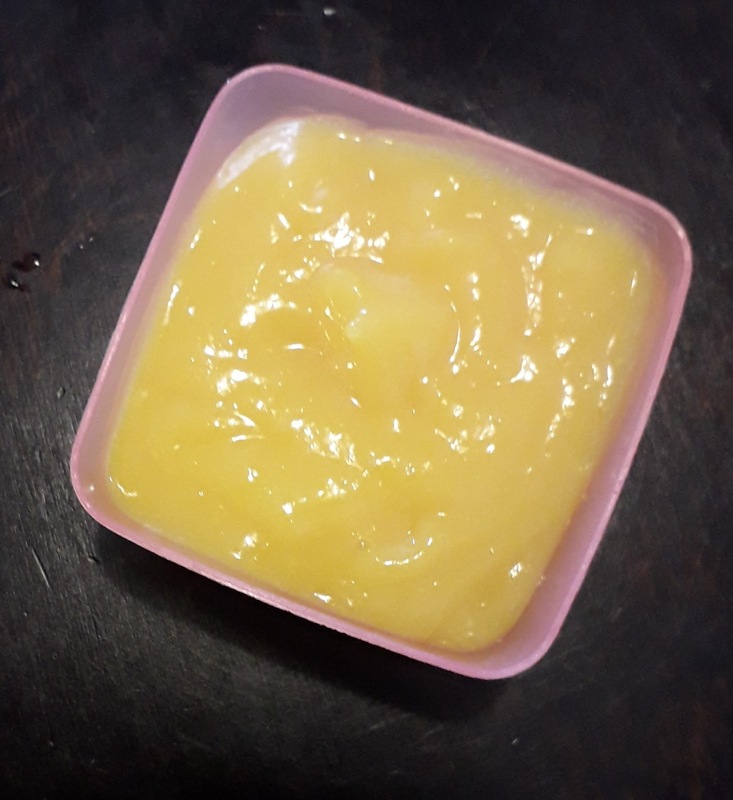 When choosing fruits or any food to be prepared for babies, blemish-free and if possible organic ones should be chosen to reduce the risk of contamination. Homemade foods are usually recommended over commercially-processed foods for babies. According to Nutritionists, mango puree can be given to babies above 6 months of age. 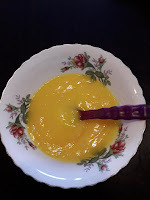 Procedure for preparing mango puree. Choose a ripe but firm mango without breaks on the skin. A break on the skin of a mango increases the chances that the mango could be contaminated. Peel the skin off the flesh and cut the flesh into smaller sizes to enable ease of blending (or mashing). Doing steps 3 and 4 as described is a more hygienic way to handle the mango as compared to peeling off the skin first before cutting off the flesh. The recommended method ensures the handler's hands have as little contact with the mango flesh as possible. Blend the mango flesh. 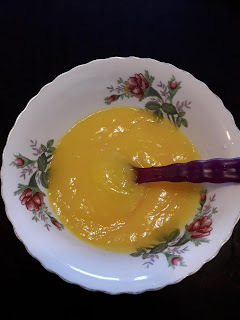 Unlike with most fruit purees, blending mangoes gives a far better result than mashing as mangoes can be quite fibrous. 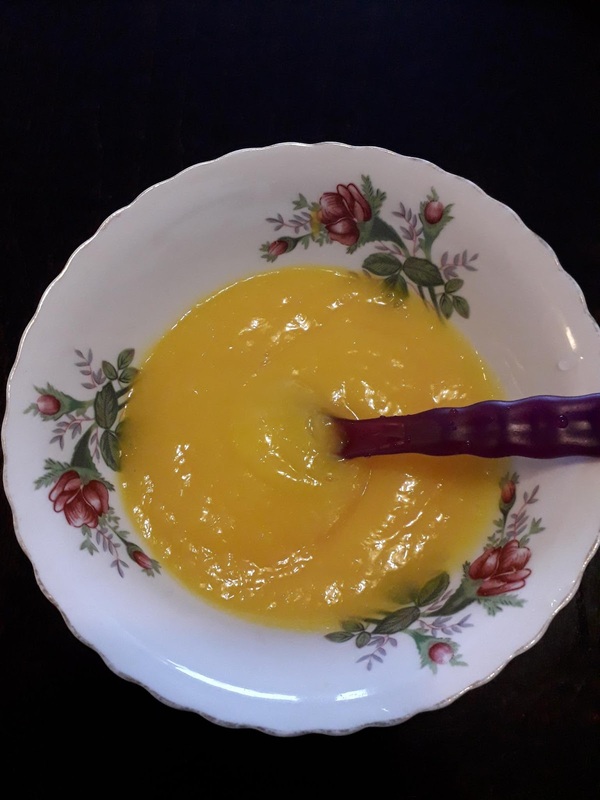 Blending ensures most, if not all of the fibrous materials in mango flesh is pureed. Mango puree can be frozen in the freezer for future use, that is if you have no concerns about electricity supply like most Nigerians do. Fruit purees can be warmed before presentation to a baby by using a water bath method of cooking; place a pot of hot water on a stove and put the plate containing the puree in the water to warm it. Do not let the water level reach the top of the plate else the water could enter the puree when it boils which could make your puree watery. Do not use a plastic plate to warm the puree to avoid chemicals leaching into the puree. Ceramics or stainless steel plates are better.